According to new research from The Diffusion Group (TDG), despite the widening availability of ‘TV Everywhere’ services, tablet owners are significantly more likely to use OTT service apps such as Netflix than those offered by both TV networks and operators. Almost half (48%) of adult tablet owners report using OTT video apps on occasion, compared with 37% that use broadcast network apps, 31% that use cable network apps, and 23% that use TV operator apps. The use of tablet apps for both free and fee-based online services is not only more widespread but occurs more frequently than the use of TV-specific apps. For example 41% of tablet users engage OTT service apps at least once a month, compared to 26% who use apps from the ‘Big Four’ broadcasters, 21% that use cable channel apps, and only 16% who turn to TV operator apps at least once a month. 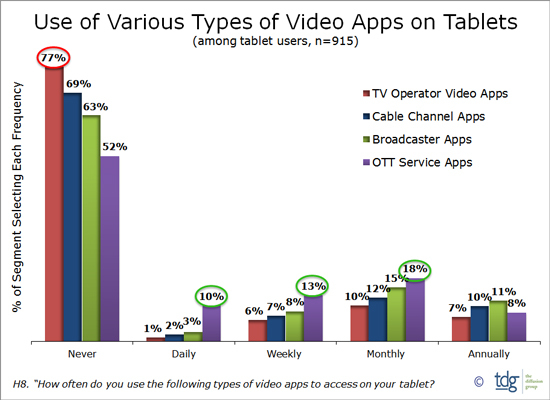 Unlike computer video viewers historically inclined to search the open web for video, tablet users wasted no time in embracing video apps that arrived shortly after tablets were introduced. 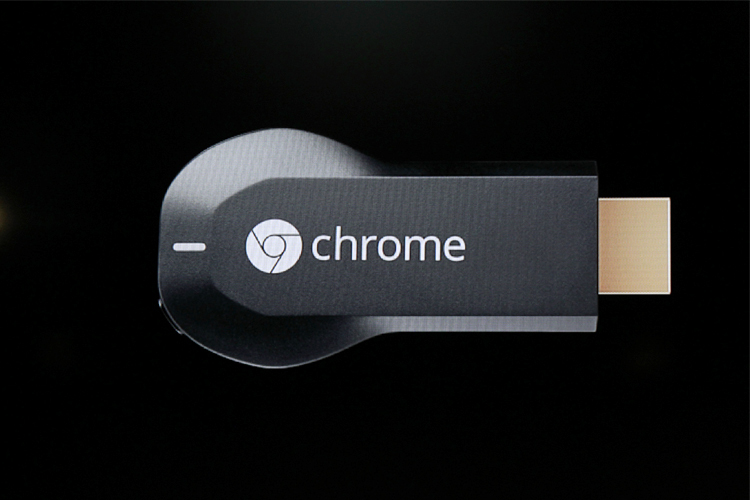 While apps from OTT services such as Netflix lead the pack, TV players are upping their game. The recent expansion of network and operator ‘TV Everywhere’ apps should help broaden their use, but uptake has to date been disappointing, especially those provided by TV operators like Time Warner Cable and DISH.